Note: This is not a ranking list, nor a list regarding quality, just my favourite films. It is totally subjective. Feel free to post your favourite films in the comments as well. Creed II: After an okay but lacklustre Rocky Balboa I thought the Rocky franchise was done for good. As the character of Rocky had seemingly run its course. However, when Ryan Coogler teamed up with Sylvester Stallone and created the original Creed I was blown away. This fact was aided by Michael B. Jordan’s star-turning performance as Adonis Creed, one of my favorite new characters of the past decade. 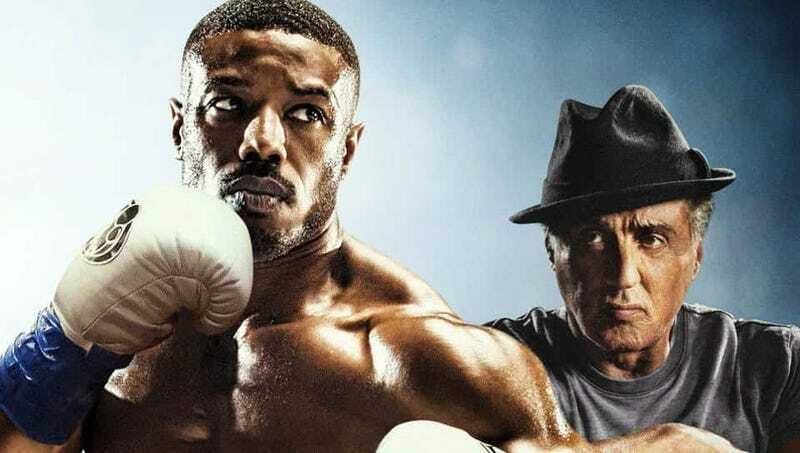 However, with Coogler has gone on to MCU fame it was an open question if the more nostalgia-based Creed 2 could live up to its predecessor. The answer is yes. Though very different the more visceral and base Creed 2 packs just as much of a punch as the original in its own unique way. Where Creed was light and fast Creed 2 is tough and strong. All around I think Creed 2 is my favourite film of the year, I loved it. Speaking of Ryan Coogler and Michael B. Jordan this Shakespearean epic set in the middle of Africa was a huge and welcome surprise. Easily the best Marvel introductory film since the original Iron Man a decade ago, Black Panther was everything you could ever want in a Marvel Cinematic Universe Film. In fact, it surpassed its own franchise and is an amazing film in its own right. In many ways this year especially Black Panther showed that films of this nature should not be underestimated. They are not mere pop culture, they are culture the same as any play or opera. The more people who give out golden statues ignore films like Black Panther the more there relevance will be called into question. Where Black Panther was a film that surpassed the Marvel Cinematic Universe. Infinity War was a film that broke free of all expectations that the Marvel Cinematic Universe had built up over the years. Prior to release, there was an understandable unease on if this film could live up to the monstrous hype. Based on its critical, popular, and box office success’ the answer is overwhelmingly yes, yes it did. I would make the argument Infinity War is the best superhero film ever produced. If there was any film released this year that was just pure spectacle and fun this was it. Years of waiting to see certain characters interact, events coming to a head, and battles dwarfing even New York Infinity War met and exceeded everyone’s wildest expectations. This film is not as original as everyone seems to make it out to be, though the fact it seems that way may speak to the state of the horror and monster genre. That being said it was as good as everyone made it out to be. It also came out of nowhere, who would have thought Jim from The Office would be a good director, certainly not I. Despite its simplicity, its well-structured narrative and great direction turned what could have been an otherwise forgettable affair into the horror surprise of the year. Furthermore, I am very much looking forward to its now inevitable sequel. This is my more niche pick and feels weird putting it down on this list after the previous big budget and critically acclaimed entries. However, no joke this film was a lot of fun. I liked it when I walked out of the theatre and thinking back I still like it a lot. In fact, I’m more likely to go see anime films in the theatres because of it. All around it was a very fun and enjoyable 80-minute film. It is not for everyone by any means and it shouldn’t win any awards or make people think about anime differently. However, it is a genuinely fun and well-made film and a must see if you are a fan of the franchise as I am. Of all the films released this year that could possibly stand next to Avengers Infinity War in terms of pre-release expectation Brad Bird’s The Incredibles 2 is the one that could come closest. Literally decades of waiting on the part of fans for a follow up to Pixar and Disney’s beloved film about a family of Superheroes made some serious expectations. While the villain of the story was pretty obvious for anyone with even a small talent for watching films, the end product did not really suffer for it. As the rest of the product was nearly flawless. Picking up right after the events of the first move The Incredibles 2 managed the feat of reminding me of being a kid. If you told me Venom would be one of my favourite films of the year I would probably have laughed at you. Everything pointed to this being a bad film and in many, many technical ways it was. It was oddly paced, the villain was laughably bad, character motivations and actions shifted wildly with little provocation. In short it was a mess. However, it was one of the weirdest and earnest messes around. Furthermore, the core duo of Eddy and Venom just worked in a way that spoke different things to many people. While Venom is not good per say, it is a film worth watching as I have a feeling you will end up enjoying it much in the way I ended up doing. Those are some of my favorite films of 2018 and I doubt that will change. I have a feeling somethings I missed so far like Annihilation, Heredity, and Mission Impossible would make their way on at a later date. As people, I trust speak highly of those films. Also for a little fun my most disappointing film of the year is easily Jurassic Park: Fallen Kingdom which was more two mediocre films crammed together to make one bad final product. I expected more and got nothing. Just a reminder I was not speaking to quality on this list just personal favorites. Hell, Venom was actually pretty bad when it came down to it but it was still a lot of fun. Let me know what you thought of 2018 in the comments bellow!